Friday Group Service The Friday Group operates as a controlled environment in which SPECAL principles are operating on a moment-by-moment, practical basis, under the guidance of skilled practitioners. 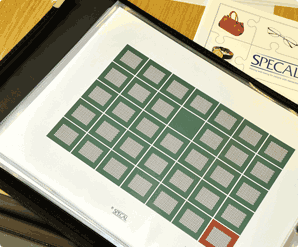 Friday Group members include people at all stages of dementia, from very early, to very late. The Friday Group provides an opportunity to visitors, particularly professionals interested in the research and evaluation of quality of life for people with dementia, to observe the SPECAL approach in action and explore the range of possibilities open to care practitioners. Observation of and participation in the delivery of SPECAL care within the Friday Group setting forms an integral part of our training programmes. Video film material and other library resources are available, and there are opportunities to discuss care principles with practitioners during the course of the day. 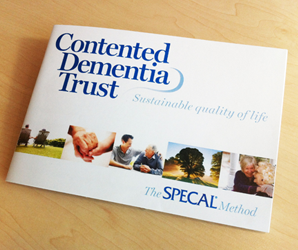 Application forms are available from training@contenteddementiatrust.org for professionals wishing to arrange a visit. A range of services is available to families whose person with dementia is attending the Friday Group. This provides the support needed in order to move a SPECAL programme of care from the family home into a formal care setting. This is a gradual process, taking place ahead of crisis, in collaboration with the family and the long term residential or nursing home of the family’s choice, and engaging other professionals who are already involved. 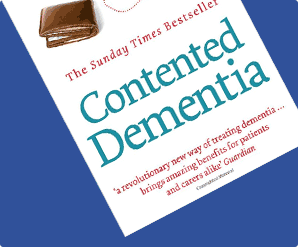 The aim is to minimise the stress of the transition for the person with dementia, and to ease the sense of guilt so often felt by families who have not had the benefit of the SPECAL method’s specialised approach. Home visits are made to the person with dementia and carer together, promoting confidence in the person’s current home setting. Support is also given to key family members in developing their own therapeutic visits once their person has completed the transition to a care home. Preserving the relationship between the person with dementia and key family members and friends is crucial to the lifelong preservation of personhood and the reduction of carer guilt.